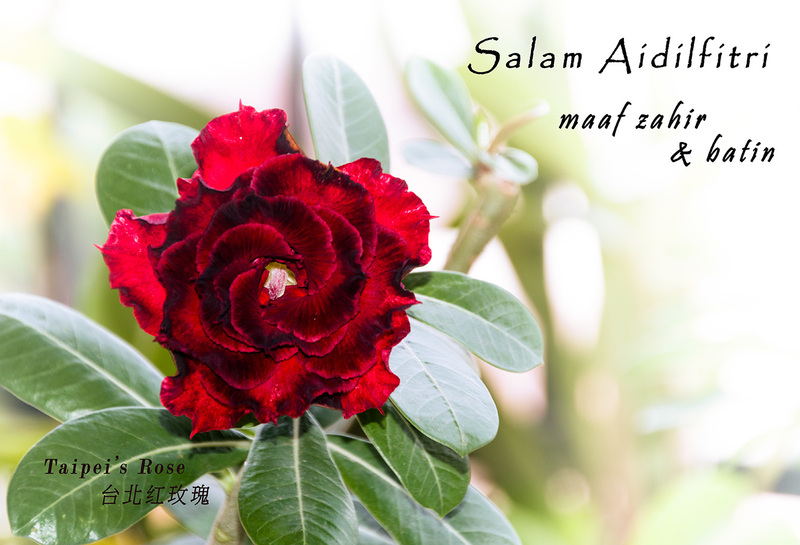 Adenium Taipei's Rose, a three-layered dark red bloom with black picotee petals. 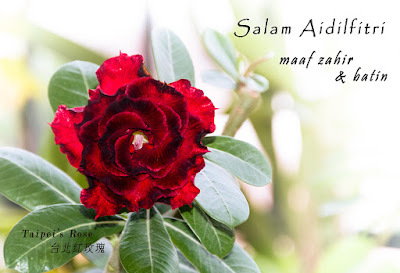 Salam Aidilfitri to all Muslim friends and happy holidays to all. Weather has been crazy over here but Adeniums are loving the heat and blooming well. Lovely adenium, the whorl banyak tu memang gorgeous apt with its name Rose.